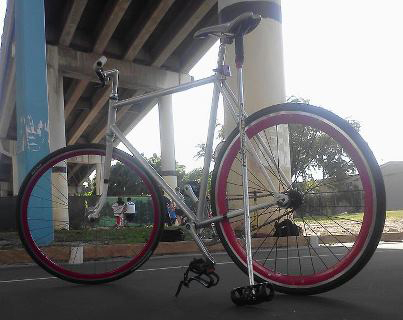 Vintage lugged steel fixed-gear conversion stolen this afternoon from Downtown Miami (NE 2nd Ave & 9th St). Silver and white with red Deep V rims. Contact Pat at (305) 834-2718 if you have any information.